It wasn't until a few months ago I was prompted to switch my hair care regime once again. This time around it wasn't just for the benefit of my hair, but also for my skin. Despite snow having been on the ground in March when I made the change, I was still aware of the warm days to come. Naturally I became a bit more mindful of my appearance. With that I noticed redness and irritation on my shoulders and upper back that I wanted gone for swimsuit season. My doc had concluded it was some sort of topical allergy and recommended that I change the hair products I used regularly. So I went to Walmart to see what I could find and lo and behold, there were two products on the self I would fall in love with. Before I bought the shampoo and conditioner, I looked through the ingredients of the products I was using. I was trying to find the ingredient(s) that weren't great for hair and skin. Through research and my scanning of the bottles the ingredient that stood out was sulfate. Sulfates are known to strip the hair and be an irritant. So in my search, if I could help it, I wanted to avoid them at all costs. When noticing the Aveeno products on the self, the emphasis of sulfate-free is what drew me into making the purchase. Of course with all Aveeno products, the simple natural look of the bottles didn't hurt either. With this shampoo and conditioner combination, my hair and skin has never been better. With no sulfate, my hair isn't being striped of natural oils and left with that awful dry "squeaky clean" feeling. It is silky and soft for days. The lack of sulfate has also led to my scalp and skin feeling and looking better. My hairdresser and I have also noticed a change in the thickness of my hair since I began using these products. It's gotten much thicker and stronger. This is also partially due to not having used heat on my hair for months. 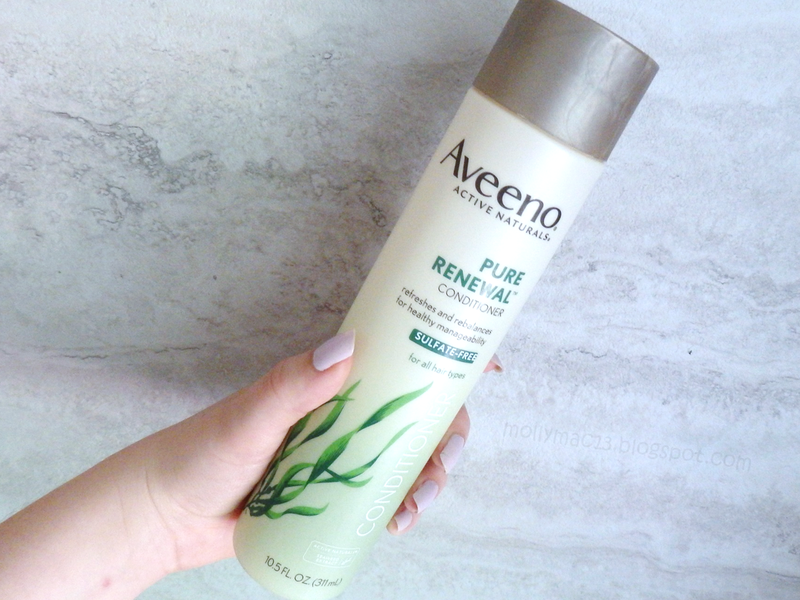 Aveeno has always been a favorite brand of mine for moisturizers and skincare, and they have now earned a spot in my favorite hair care products. Even with hair care they've managed to do great things for the skin! I definitely recommend these products even if you don't have finicky hair and sensitive skin! 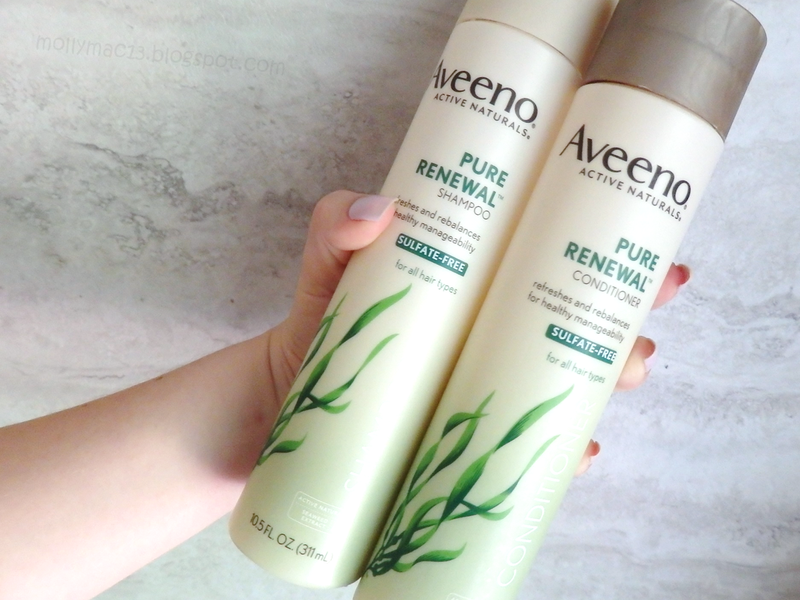 Have you tried Aveeno's hair care line? How did you like it? 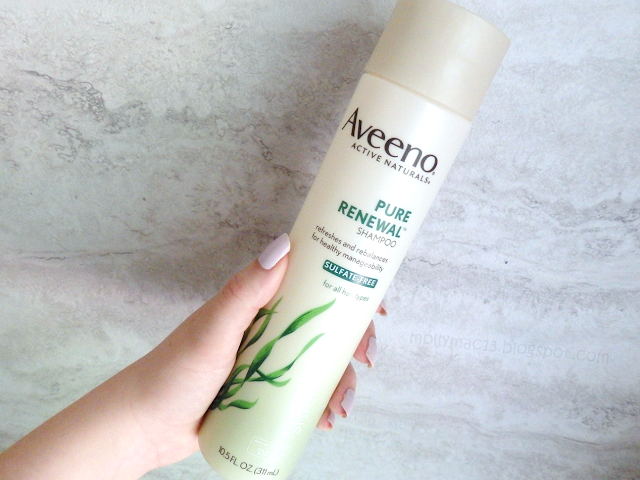 I love Aveeno products! I use the face wash, and moisturizer. Have to try the hair care though! I really need to try this brand out! I have heard so amazing good things about it! I haven't tried this before and I didn't know that about sulfate in hair products so thanks for the tip haha!